For todays outfit post I went a little out of my element. A few months ago I ordered this skirt from Chicwish. I was sort of hesitant since their sizing seemed to run small compared to sizes in America, but for the price I couldn't pass it up. 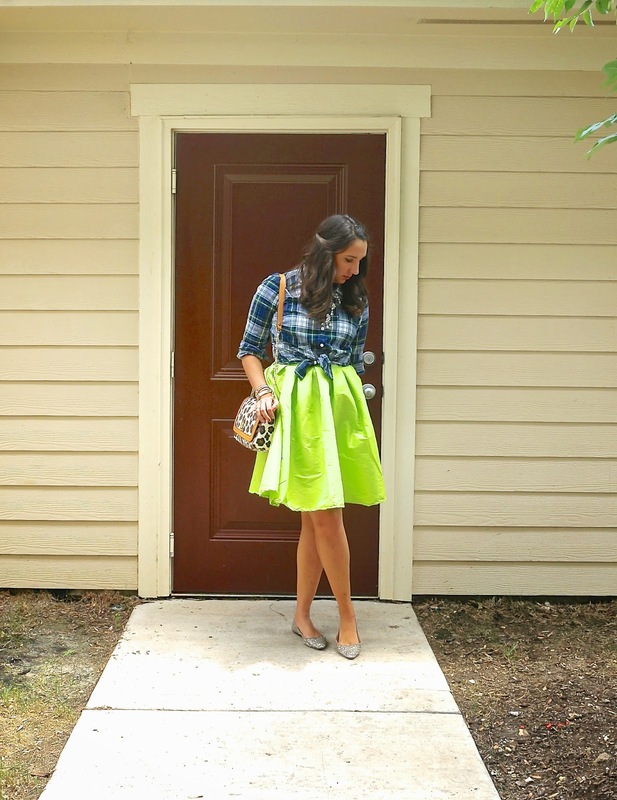 I love how bright it is and that you can pair it with almost anything to make a fun outfit! I can't wait until it gets cooler and I can pair it with some tights and cute booties. I love having an article of clothing I can use in all seasons!